Competing for Customers and Winning with Value brings together, for the first time, two very powerful concepts: customer value and competitive planning. Together they create a powerful tool that will generate breakthrough strategies for market dominance. Value is not a new concept. On the contrary, the concept of value has been around for a long time, but the ability to operationalize that concept into a meaningful tool for business managers has come about much more recently. The previously fashionable metrics of customer satisfaction have proven to be poor predictors of business performance, whereas the linkages between customer value and performance measures such as market share and profitability have been identified and documented. In fact, value has been shown to be one of the best predictors of market share and customer loyalty available. It is only natural, then, that developing a system to harness value as a competitive weapon is an essential next step. This is the objective of Competing for Customers. The second concept that Competing with Customers brings to the table is a competitive planning template that enables organizations to actually harness their value creation and delivery systems to enhance their market performance. It is a planning system that focuses at the level where the organization makes money: selling products or services to people in specific markets or market segments. Organizations have the power to choose where they compete and how they compete. The competitive arena is a product/market – a market or market segment that buys specific products or services. This is where competitive planning takes place. 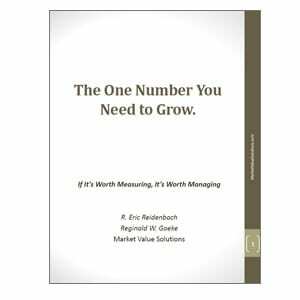 It focuses on answering a series of very specific questions answered by the metrics of customer value. It accommodates the shifting complexities of a constantly changing market place by creating the necessary focus to understand how competitors compete. 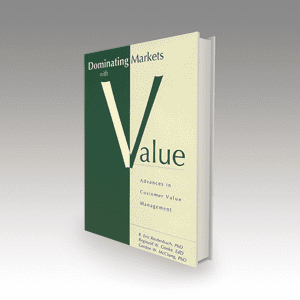 Within each product/market in which the organization chooses to compete, the first question is “What is the organization’s competitive value proposition?” How do buyers within the product/market define the value they seek, and how do they perceive the value 9 our organization provides relative to that of the competition? Failing to answer these two questions or, worse, not asking them in the first place, puts the organization at a severe competitive disadvantage. Once the organization understands its competitive value proposition it has to ask “Is this the value proposition that we want?” If the organization’s value proposition is undifferentiated from its competitors, it is offering buyers no compelling reason to buy its products. This shows up in stagnating share positions and mediocre profits. If its actual value proposition is inferior to its competitors, then it can expect declining share positions and lower profits. Understanding the value gaps between an organization and its competitors, along with the potential value-enhancing opportunities those present, raises the question “How does the organization manage its competitive value proposition in order to either close the value gap with leading competitors or widen it in order to establish undisputed leadership?” Competing for Customers provides a blueprint for effectively managing the organization’s value proposition by specifying clear objectives supported by a clear and focused strategy. Finally, the organization has to monitor its competitive value proposition. The organization’s value proposition is an important asset providing a compelling reason to do business with the organization. It requires continuous management. Just as an organization manages its inventories, distribution system, or pricing strategies, so too, must it manage its value proposition. Failure to do so means that the organization is leaving this critically important asset to the whims of its competitors. 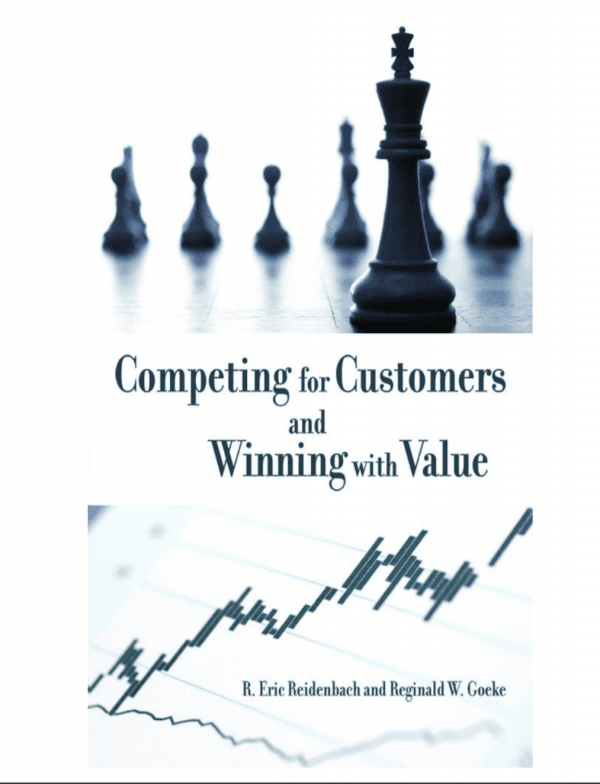 Competing for Customers and Winning with Value provides the reader with a clear blueprint for crafting breakthrough, value-added strategies to dominate those product/markets that the organization targets. For many readers it will challenge the way they look at their competition, their markets and their industries. Competition will never look the same.